Hurray for the Red, White and Blue (and for lots of challenges)! I loved the gridded photo collage – I have a hard time doing layouts that don’t include lots of pictures, so when there’s a sketch that works for lots of pictures, I’m instantly drawn to it! I really love parades and fireworks and getting together with family! And the Jesse White Tumblers are like the icing on the Fourth of July cake! 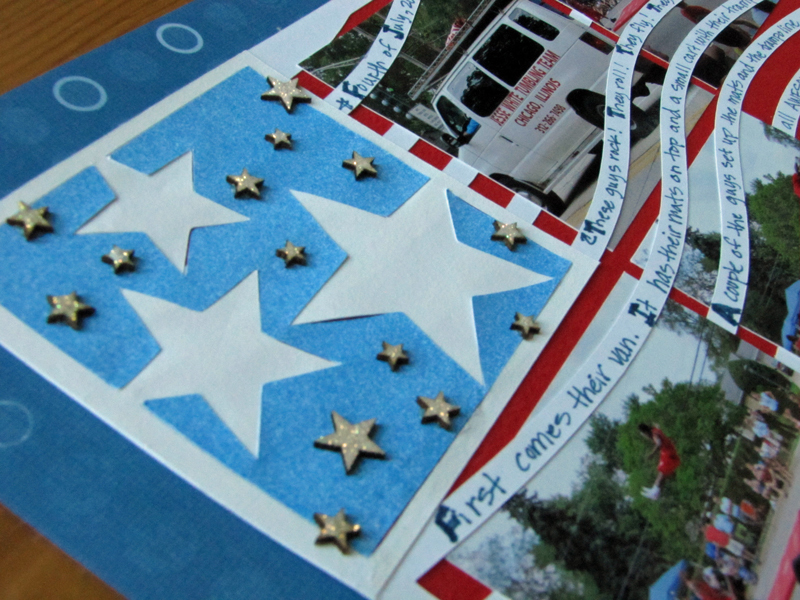 I went with the gridded nature of the sketch and placement of some stars and the title, but incorporated the flag into the whole dealy! As I was laying the pictures on top of the stripes I was realizing that I could cover parts of the photos and weave the photos through the stripes. Then I realized that I could write some journaling/captions on the stripes, which is great because you can tell how much I love to write :-D! The awesome supplies I used are: Cardstock from Bazzill, Recollections and Paper Studio; Patterned Paper, marker and cork stars from Close to My Heart; Cut files from Silhouette (Studio Ilustrado); Wood Veneer from Studio Calico; Sprays from Smooch and Studio Calico; Stickles; Fonts : American Purpose Casual 01, CK Shiver (edited to make it more full), CK Tipsy; Adhesive from Scotch and Xyron. I really loved documenting this amazing moment! I’m so glad I got it scrapped and it was pretty much entirely for my own enjoyment! Thanks so much for stopping by! Please leave some kind words in the comment section if you have a moment! I’d love to hear what you thought and how you came to visit my blog today! 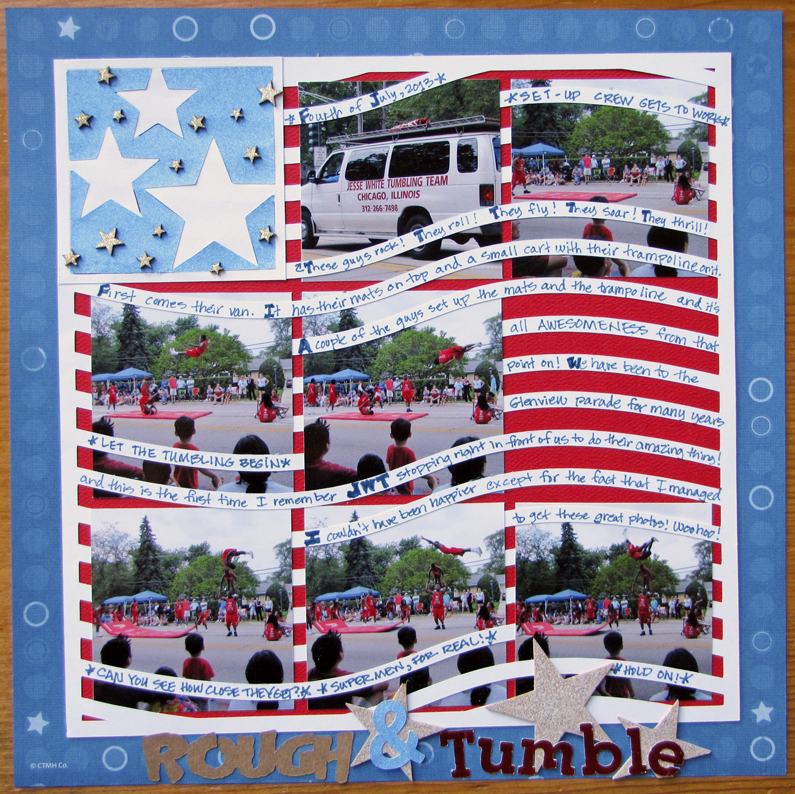 ETA: Well, this is a well-loved layout and fits the theme, so I’m glad to be able to add my project to the Paper Issues New Issue: Hooray for the Red, White and Blue with Therm O Web linky party! ETA: Yippeee! 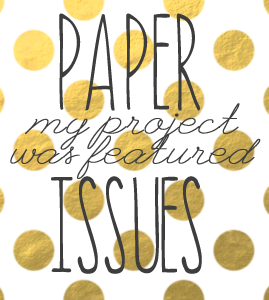 My project was shared on Fan Feature Friday at Paper Issues! Those Paper Issues peeps are the best!